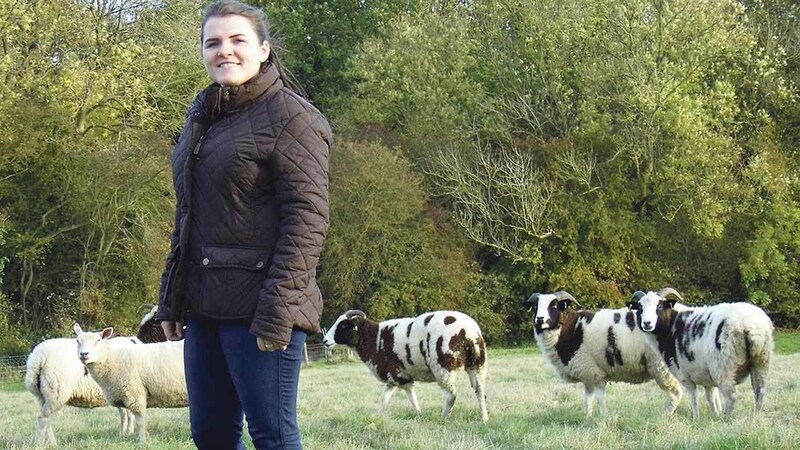 Georgina Gater-Moore, 19, farms 15 breeding ewes at her home in Rutland in between studying at Harper Adams University. She is in her second year at university and is building up a flock of her own. Ewes: Starting back at Harper Adams University for my second year means I have left my small flock (15 breeding ewes) behind in Rutland under the watchful eye of my mum, and my boss. Juggling academic work and trying to build my own flock for the past two years has had some interesting moments. I bought my first eight ewes from my boss a few weeks before starting my second year of A levels. I am not from a farming family, so checking stock before school and fitting routine tasks in between everything I was taking part in at school was a novelty for me. I am exceptionally lucky that my mum has a keen interest in the ewes as well, and that my boss has always been there to guide me in the right direction – although I am not sure how much he appreciated the four Jacobs I purchased. Performance: Weekends at university might mean finding my way into the Student’s Union bar, or they might mean driving two-and-a-half hours each way to attend to my sheep. Easter, as for many Young Farmers, means flat out lambing, and summer means making hay, weighing lambs, and gnawing on my nails as I wait to see how much my own lambs make at market. I am just starting out, so I have not got lots of technology to give me data on how my flock is performing, but I am really interested in the breeding of my ewes and lambs. Good lambs make me proud, and this year I have been absolutely swept away by the performance of my Jacobs. They were put to a beefy Texel tup and the lambs were absolute powerhouses. Great mothers, great condition scores throughout pregnancy and lactation, and great lambs. I went to a pedigree sale and bought four more this summer. Fingers crossed it was not just a bit of beginner’s luck. Future: I hope to keep my breeding ewes increasing throughout the next few years while studying, and graduate with a degree and something resembling a profitable flock. These next few years are really important in terms of getting a good flock established with breeds which I like and can perform well for me. My enthusiasm for sheep and farming has not depleted since getting a few of my own – it has probably had the opposite effect actually, although I have definitely got more realistic.